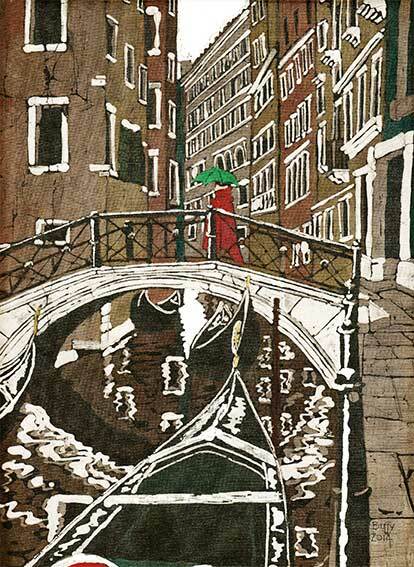 The 'Lady with a Green Umbrella' is walking over a pretty bridge over typical narrow Venetian side canal. Many of my visits to Venice have been in November and early December when the bulk of the tourists have gone. 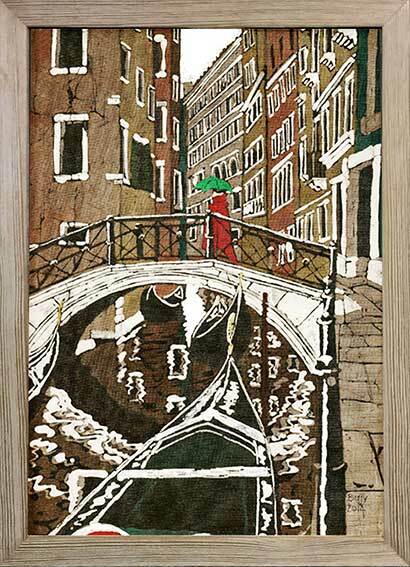 The city is left to the Venetians, so it's possible for them to continue with their normal daily life unhindered. Sometimes of course the weather is wet - we once had spectacular floods, with St Marks under two feet of water but the light in Venice is amazing, even in the rain.